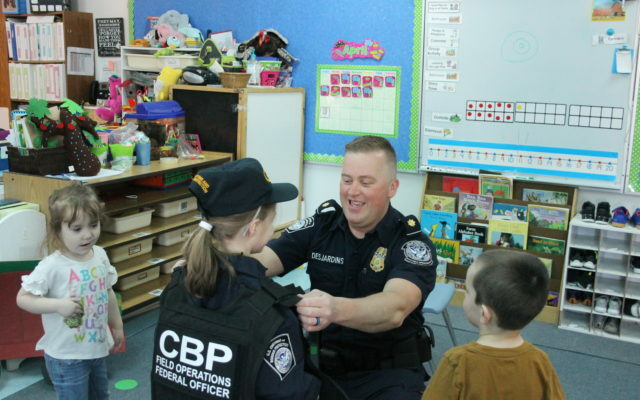 MADAWASKA, Maine — Young students from the Madawaska Elementary School got a special visit from Customs and Border Protection agents Thursday morning when the children had the opportunity to play officer and learn the basics about crossing the border. “It’s nice to have people in uniform so that the students can get acclimated to them and not be afraid when [the children] see them out and about,” said Lise Pelletier, principal at Madawaska Elementary School. The eight students in Mrs. Kerry O’Brien’s early childhood class did all they could to contain their enthusiasm when Jodie Theriault, a U.S. Customs and Border Protection officer and outreach coordinator, introduced the agents and the plan for the class. 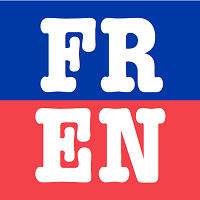 The students, with the help of some stuffed animal puppies and the other customs officers, went around to stations and tried to determine if the officer pretending to cross the border should be allowed into the country or not. The students learned about why people with a criminal record, sick animals, oranges, and certain bugs burrowed in wood cannot come into the United States. They even got to look at some of the insects under a microscope.